IMPORTANT NOTE: Check your model number carefully! If it is not listed below, it will not work! Bought a Samsung monitor and disappointed that you can't VESA mount it? 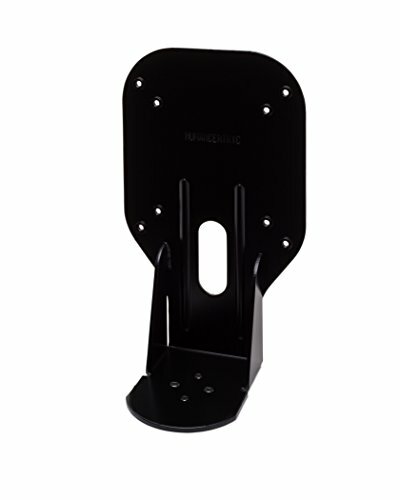 This bracket enables you to mount select Samsung monitors to a desk mount, articulating arm, or any other VESA mounting system. FITS *SOME* SAMSUNG MONITORS - It will **not** work with all Samsung monitors. Check your model number carefully - if it is not listed, it will *not* work! ALTERNATE VERSION: If you need to mount the S27D390H, S24D390HL, S27D360H, or S24D360HL, select the appropriate version from the "size" dropdown on this page. The bracket shown here will not work with these models. TAME THE CABLE MONSTER - Our handy cable slot is the perfect way to keep your cables organized. Rather than having them hang out the back of the monitor, just slip them right through the slot and run them back along your mounting arm.